OneManDrone is a dedicated platform with a team of international experts to develop a drone for use in the ultra-light recreational aviation sector. This sector is called experimental aircraft in the USA (Amateur-built, Kit-built, or Light-sport Aircraft). This is the first step. • A proof of concept that flew with a payload of 85 kg. This was to demo the idea being possible, in summer of 2015. • We build a larger craft to carry 100 kg for the rescue sector, it can carry injured persons. It flies for 15 min per charge. We did test it with a suboptimal battery pack and 25 min could be done on batteries only. • The next part is in the range extender we are currently testing. This should allow for a 1.5 hrs flight. For the science part, we work together with universities in Netherlands and Germany and have contacts on scientific level in China and USA. For the production part, we work together with some strong (international) partners in brushless motors, rotors, CF beams, batteries, and controller technology. Finally, we are engaged in projects that move the 3D commuting for cities. Based on the extensive expertise developed in our team on mega drones, we can design customized commuting drones. 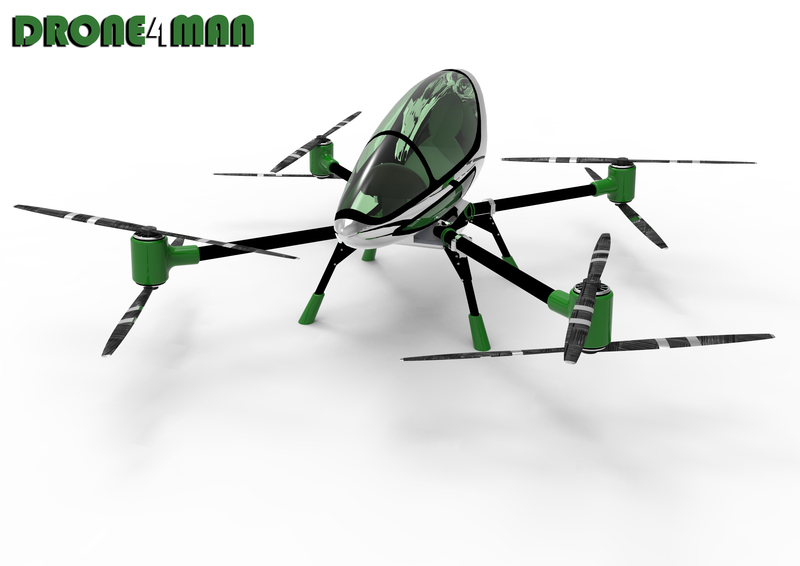 We invite you to come and discuss with you the type of commuting drone you would like to see. Mankind in its boldest dreams always had the wish to fly, like a bird. Icarus did not succeed with the technology of those days. It is the extreme sensation to move in 3 dimensions and hang in the air, that hangliders/paraglider, sailplane, autogyro and chopper pilots make so excited about.